This year's artists cover film, literature, performance, visual art & curatorial practice. Queer | Art, a New York-based nonprofit dedicated to supporting LGBTQ artists. For the past seven years, the organization has nurtured the creative and professional development and launched the careers of more than 100 artists through its year-long Queer | Art | Mentorship fellowship program. This year, 11 diverse artists across five distinct fields—film, literature, performance, visual art, and curatorial practice—have been selected as Fellows and paired with established artists in their field to serve as mentors. Below is a list of the 2017-2018 Fellows and the projects they will work on over the next year. Justin Allen is a writer and performer from Northern Virginia. Allen will be composing a collection of sci-fi poems about a United States of America after Reparations. For more information, click here. Eames Armstrong is an artist and curator who works with noise, interdisciplinary experimental performance, and queer theory. Armstrong will be working on "Grimoire," a curatorial project that considers performance scores alongside texts for spell casting. For more information, click here. David Antonio Cruz is a painter who will be working develop and expand on a series of drawings and an operatic performance based on ethnographic photographs and the Black Diaries by the British consul and Irish Nationalist Roger Casement. For more information, click here. Marco DaSilva is an artist whose work explores the intersections of his Brazilian-American, queer identity and manic experience. He will be working on a sculptural series that explores the manic experience through notions of dreams of grandeur, opulence, and excess across different socioeconomic perspectives. For more information, click here. Federica Gianni is an Italian filmmaker based who will be working on a queer coming of age story about first love, family, and addiction set in a Pasolinian beach town on the outskirts of Rome. For more information, click here. Lucas Habte is an Ethiopian filmmaker who will be working on an autobiographical documentary detailing the story of his romantic relationship with a young man in Addis Ababa before and after he fled homophobic threats to become France’s first LGBT refugee from Ethiopia. For more information, click here. Ryan J. Haddad is an actor, writer, and performer who will be working on a play that will explore the significance of intergenerational gay mentorship and a family’s evolution over thirty years through the story of Charlie, his eccentric gay uncle. For more information, click here. Lamya Haq is a writer who will be working on a memoir about being a queer brown Muslim immigrant woman in the United States. For more information, click here. Jarret Key is a performer from rural Alabama who will be working on a series of performance installations (hair paintings) reimagining the rituals, narratives, and legacy of his grandmother, Ruth Mae “Polka Dot” Giles. For more information, click here. Madsen Minax makes films inspired by the collective and individual politics of belonging. He will be working on a feature length documentary, which traces the story of his nieces unexplained death, his brother-in-law’s false incarceration for her murder, and how his family’s turn to Mormonism poses conflicts for his transgender identity. For more information, click here. 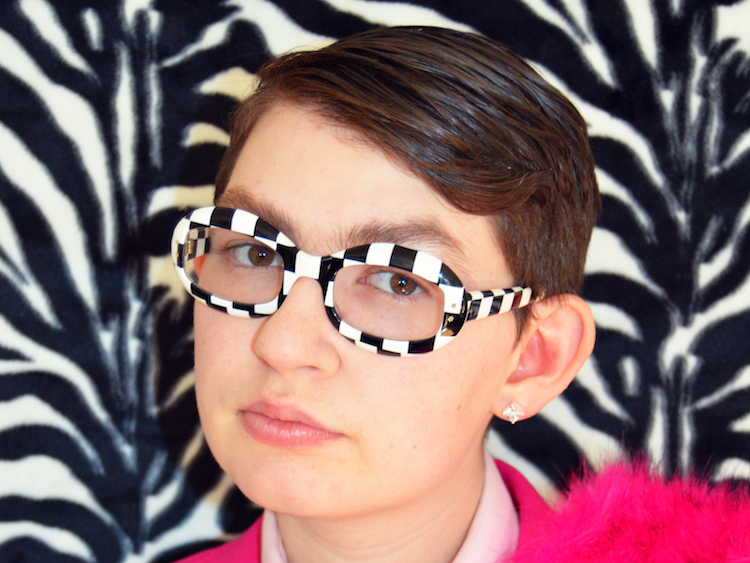 Zoe Schlacter is an interdisciplinary artist and designer who will be working to construct a wardrobe for a drag king alter ego character, exploring the potential for a wardrobe to act as an alternative archive of gender and self-expression. For more information, click here.